Timber Cladding is an attractive and environmentally friendly way to finish the exterior of buildings. When compared to brick or concrete, western red cedar and siberian larch cladding provide durable exterior protection for a building, whilst also reducing environmental impact. 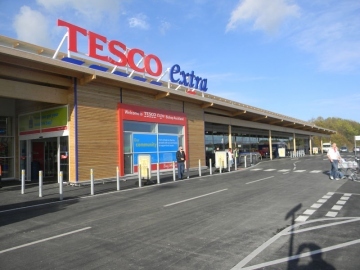 This combination of visual appeal, environmental credentials and competitive pricing means that Timber Cladding is quickly becoming the material of choice for high street brands such as Tesco, Sainsburys, Morrisons, M&S, Next and Wilkos. Bennetts Timber supplies high quality Timber Cladding to many of these companies so the next time your shopping, look for more Timber Cladding arriving on your high street soon. Can we help with your next cladding project? Click here to get an instant estimate.